Hey, hey or should I say; "Ho! Ho!" Are you an early Christmaser or a last minuter? I decided this year to get everything done super early. You see, I read a story to my students not to long ago called "Dave Cooks The Turkey". If you aren't a Canadian you likely don't know about one of our national treasures-Stuart McClean. He has a show on our national radio station (CBC) called "The Vinyl Cafe". Each week he has musical guests and then treats us all to one of his amazing stories all about a family made up of; Dave, Morley and their two kids, Stephanie and Sam. They make you laugh, they make you cry and they make you happy that we have a publicly funded national broadcast system. Take a quick listen here. Well, Morely in the story wants to once again love Christmas instead of just racing through, so she joins a Christmas group. I wanted to enjoy Christmas this year-a lot. Small one is just old enough to really understand what is going on and I really want to get our family traditions rolling. So I have almost everything done, except my decorating. Need some pin'inspiration to top-up your Christmas? Look no further because last week's party has it in spades. Wouldn't you be thrilled to get these (or give) as a hostess gift? 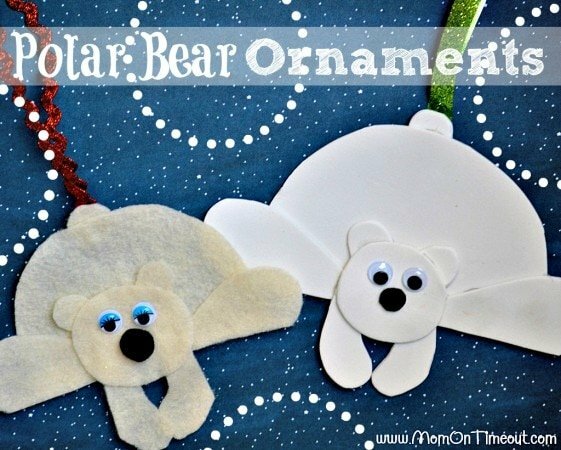 How about a little craft time with your kiddo's (or borrow a few from someone else). Mom on Timeout has just the idea for you. 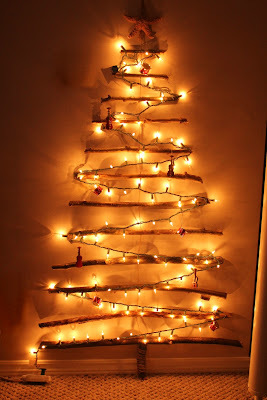 A TREE that is on the wall and is just the right size for even the smallest places. You're all set now aren't you C: How about we see what you've been up to this week. I bet it is amazing. ♥grab a button to spread the word about our party and a button if you are featured. ♥And most importantly: please, please visit lots of folks and spread some bloggy love. ♥ Turning off captcha means people are more likely to comment! Thanks so much for holding your lovely party every week. Thanks for the party. I hope you have a great weekend. Hi, Micki! Thanks for hosting every week!